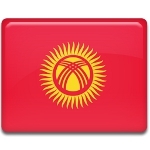 May 5 is Constitution Day in Kyrgyzstan. It marks the anniversary of the adoption of the country’s first post-Soviet constitution on May 5, 1993. The Kyrgyz Republic became an independent state in 1991, following the dissolution of the Soviet Union. The new supreme law, which replaced the Constitution of the Kirghiz Soviet Socialist Republic, was officially adopted a year and a half later, on May 5, 1993. The Constitution defined Kyrgyzstan as a sovereign, unitary, democratic, constitutional, secular, social state. It guaranteed human rights and individual freedoms as well as introduced the separation of powers, supremacy of the rule of law and universal suffrage. The 1993 Constitution formalized the sovereignty of the Kyrgyz nation, and the day of its adoption was declared as a national holiday. In 2010, a new constitution was adopted. It reduced the power of the president and introduced a parliamentary system. However, it was decided not to move Constitution Day to a new date. Although Constitution Day is a public holiday in Kyrgyzstan, it is typically a low-key affair. The President usually issues an address to the nation, but very few special events are held on the occasion.